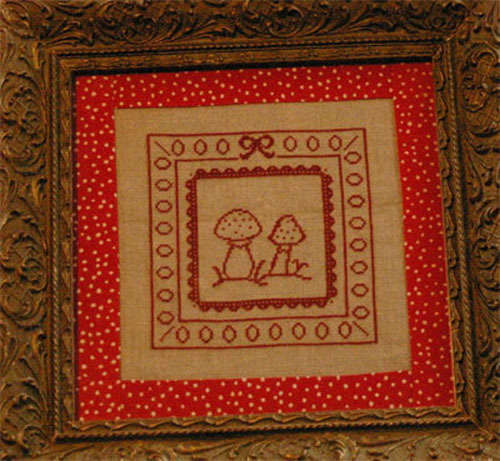 "At the Edge of the Woods" is a cross-stitch chart with instructions translated in English. This pattern is a monochrome, you can choose your own colour, the designer has recommended red DMC 815. The model on the picture has been stitched on 48 count linen fabric (colour "Natural") using one strand of cotton over two threads of fabric. But it can be stitched on a lower count using two strands of cotton over two threads of fabric. Recommended Fabric: of your choice regarding the type (linen / evenweave / Aida) and the stitch count (colour "Natural linen"), 40x40 cm (16x16 in).